The MOC Foundation was established during 2009 as a Corporate Social Responsibility project by the OFT Group's Trustees. The Foundations efforts are dedicated to its namesake, Marie O'Connell, who was diagnosed with terminal cancer at the age of 59. This marked the start of a 23-long year journey, during which she remained steadfast in her faith, and shared it through her compassion for others despite the endless ritual of gruelling cancer treatments. She, despite her own situation, used every opportunity to intimately share her faith and the love, encouragement, and peace the Lord provided her with until she finally departed this earthly life on the 2nd August 2010. 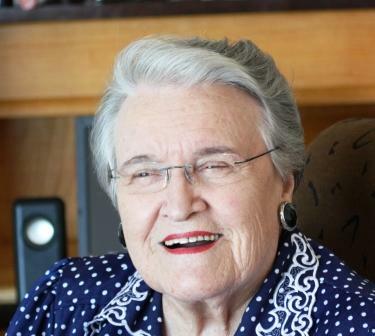 The Foundation was officially incorporated as a division within the OFT Group as a result of God’s grace and guidance in both Marie and her children’s lives. Today we continue her tradition by representing our Group's equity and how this can be used to impact the lives of others. Our activities are governed by a board of directors operating under the guidance of the OFT Group Trustees. What does the MOC Logo symbolize? In recollection of Marie's example, we designed and adopted our MOC Logo to symbolize and represent the Faith, Care, Compassion and Selfless love which characterised her heartfelt intentions. Our logo has affectionately been named the "Marie Biscuit", a name given to Marie by those closest to her. The MOC Logo is comprised of a simple rose which depicts God's love for all with a white background symbolizing purity and faith and has come to represent our message of hope and personal commitment to serving others for no other reason than to honour God. Today, her legacy of living a Christ centred life, and the selfless love she displayed to others, lives on in the actions of the MOC Foundation and its members activities and purpose. With Marie, it was only apparent after her death, as to how much suffering she endured while never revealing this to anyone...even those closest to her. During the last weeks of her life, Marie exuded courage and faith and we can honestly say that she lived, she died, and not once, did she indulge in self-pity. What do the ancient tree images on our website symbolize? The Ancient Tree and Sky images used on our website where taken by Beth Moon over a period of 14 years and to us represent Age, Wisdom, Innocence, Endurance, Inclusivity and Connectivity.